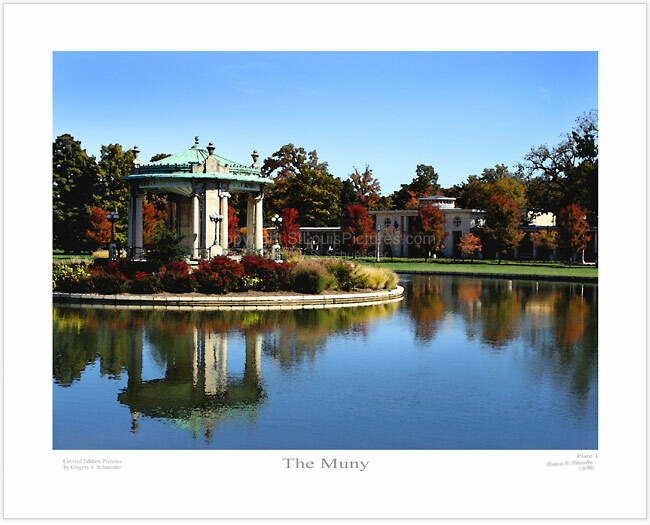 In St. Louis' Forest Park you will find a hidden treasure - The Muny. In the forefront of this picture we see The Nathan Frank Bandstand on Pagoda Island with its white marble columns and bronze railings. Nestled behind the autumn trees, just past the pond, we see the front of the Muny.